My little girl turned four on Saturday. I can hardly believe she is 4 already. Some of you have been around here long enough to remember when she was born. I know the move Tangled is so 2010 but Kayla is still way into it. 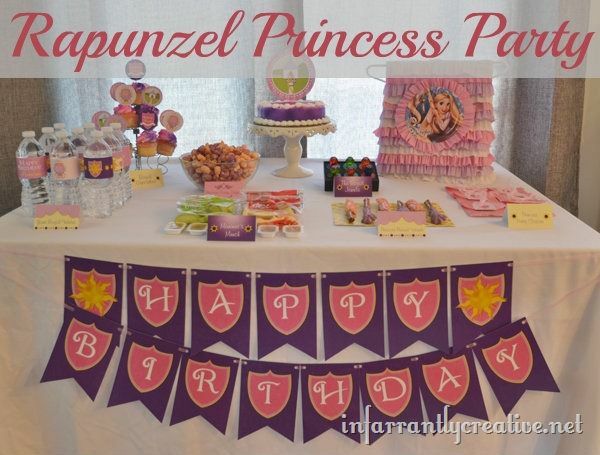 So I again hit up Debbie from Wants & Wishes Design and used her Printable Rapunzel Tangled/Princess Collection party.